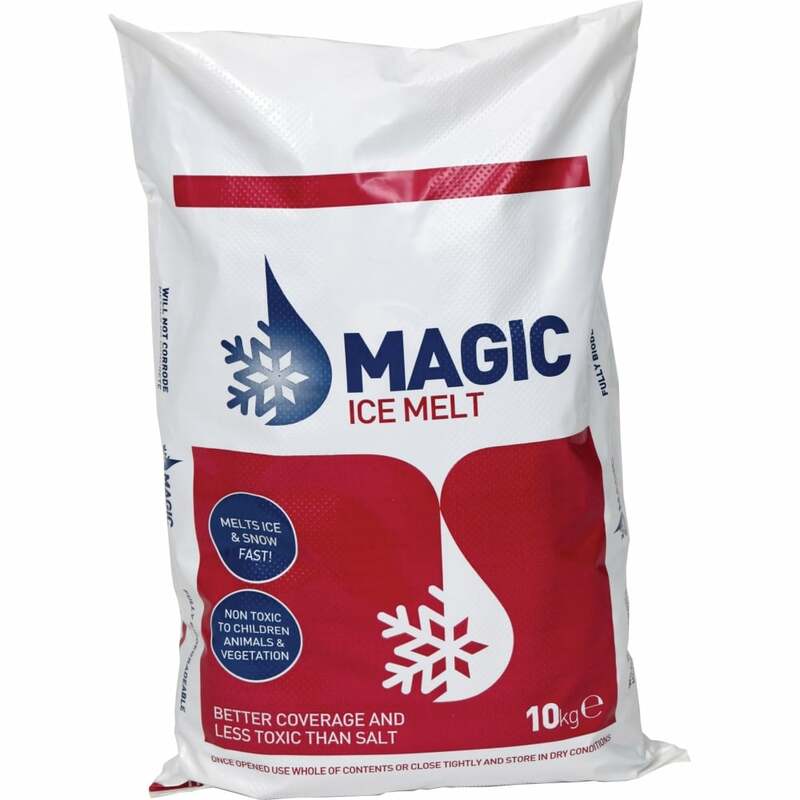 Magic Ice Melt is a fast acting, de-icer which keeps areas clear of ice for up to 24hrs, apply before snowfall to prevent settling and the formation of ice. The free flowing white granules allow the user to spread them easily and sparingly making them very cost efficient. Magic ice is also non-corrosive and non-toxic making it completely harmless to both humans and animals. Suitable for use on paths, stairs, playgrounds, car parks and fire escapes. Free flowing and very easy to scatter, particularly when applied with the specialist dispenser. Dispenser also available to purchase separately. Showing 2 of our total 3 reviews, with an average rating of 5 stars. Read all 3 reviews for Parrs Magic Ice Melt. Effective as described in advert.